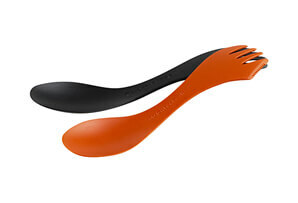 This spoon-fork-knife combo brings a bit of civilization to the wild and a bit of the wild to civilization. 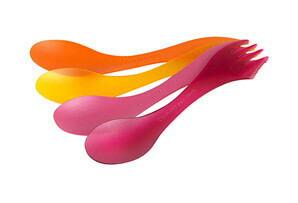 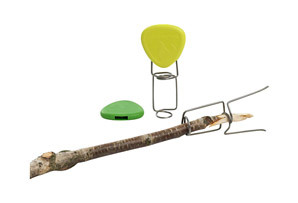 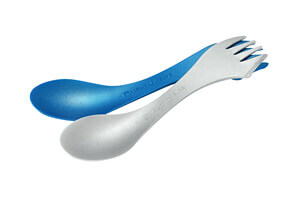 The Spork is perfect for your backpack, boat, picnic basket, lunchbox, purse, or briefcase. 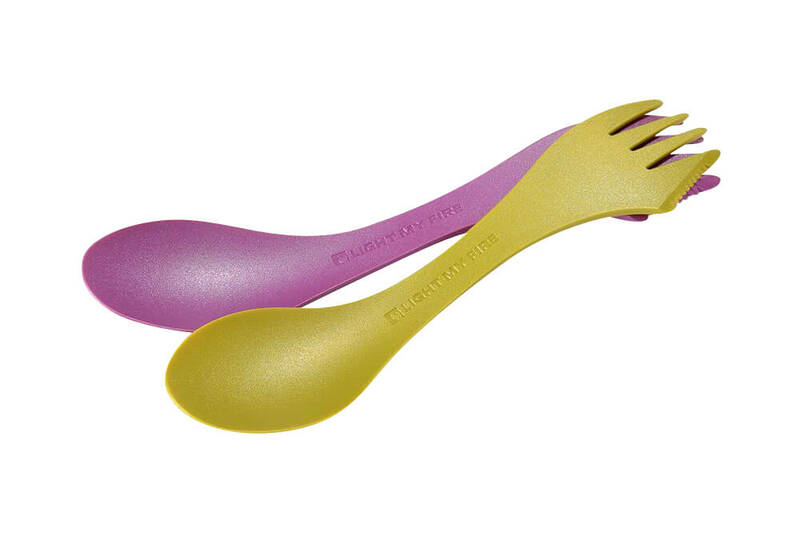 Made in BPA-free Eastman Tritan™. 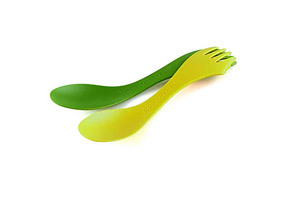  Spoon-fork-knife combo with a serrated edge on side of fork. 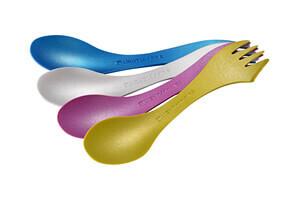  Durable and heat resistant. 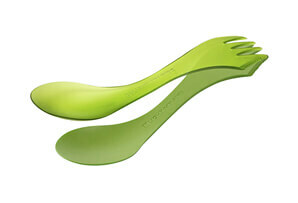  Safe for non-stick cookware. 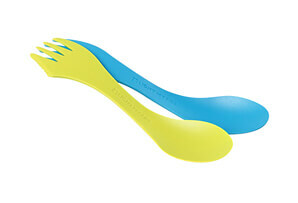 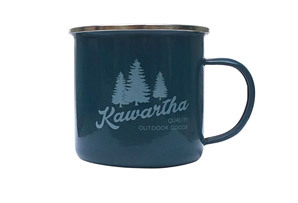 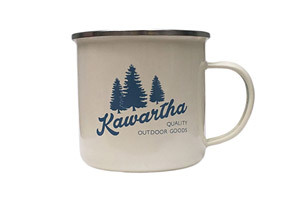  Made from BPA-free Eastman Tritan™.